Editor’s Note: Mark and Terry Drury of Drury Outdoors are two of the most-successful TV producers in all of outdoor television. They produce “Bow Madness,” “Dream Season,” “Wildlife Obsession” and “King of the Spring” that air on the Outdoor Channel, and “Natural Born” that airs on the Pursuit Network. They’re brothers, business partners, friends and hunting buddies. 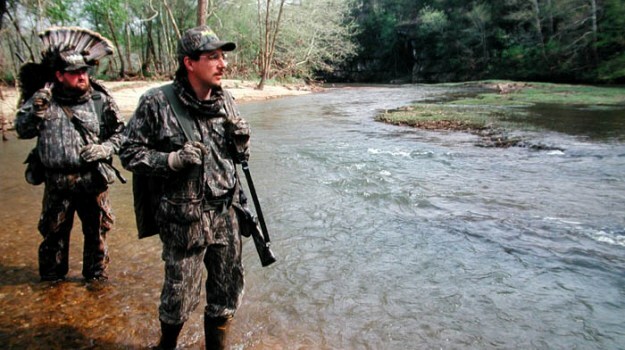 Question: Terry, what’s a secret that most hunters don’t know about turkey hunting? Terry Drury: This is the secret I’ve kept for many years and never have revealed until right now. 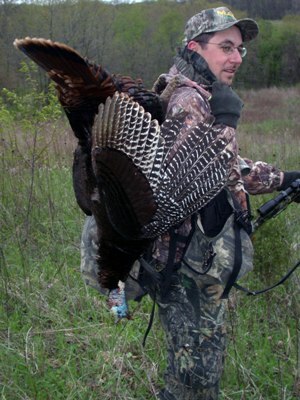 If you want to take a turkey and take turkeys all through turkey season, sit beside my brother Mark, and let him do the calling. I’ve found if I sit in front of Mark, let him sit behind me and him do all the calling, then all I really have to do is pull the trigger. Mark will put a turkey in front of me. 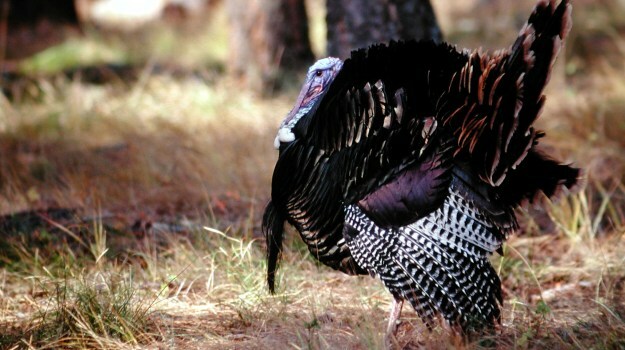 One of the things I’ve learned over the years is for Mark and I to allow each turkey to teach us how to call to him. We call it, “taking a gobbler’s temperature.” The first step in taking a gobbler’s temperature is to try and learn where that gobbler wants to roost. We’ve hunted our farm so long that once we know where a gobbler is roosting, we pretty much know where he’ll fly down. That’s one of the real secrets to consistently taking turkeys. If you study the turkeys on the land you hunt, if you know where they like to roost, and where they like to fly to when they leave the roost, you can take turkeys throughout turkey season. When we first started hunting turkeys on our land, we didn’t have the birds patterned very well. Now that we’ve been hunting this property for many years, when a turkey gobbles from the roost, we can just about pinpoint where he’ll land, when he flies down from the roost. Another secret for consistently taking turkeys is we try to get as close to the gobbler as we can, before we start calling to him. One of the hunts I remember the most was when Mark and I finally got to hunt with Paul Butski of Scio, New York, one of the greatest turkey hunters who’s ever lived in my opinion. I put Mark and Paul within 28 steps of the tree where the turkey was roosting. Typically, we liked to get within 40-50 yards of a turkey, before we started calling to him when he was on the roost. 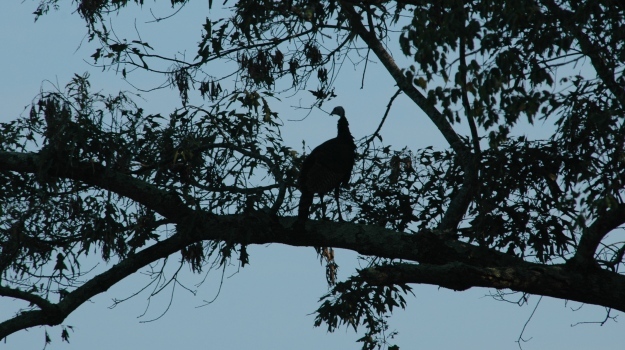 The only way you could get that close was to know what tree the turkey flew to, the afternoon before you hunted him. Often one of us would stand on a gravel road owl hooting to the turkey on the afternoon before the hunt. The other hunter would be slipping in while the turkey was on the roost to try and see the turkey, learn the tree where he was roosting, and see the limb where he was standing. A tactic that we also use is one of us will stand on a ridge blowing a coyote howling call to get the turkey on the roost to gobble, while the other brother figures out how to go to the turkey and get close enough to see the turkey. As he sneaks away from the gobbler on the roost, he’ll be clearing a trail that we can walk the next morning without spooking the gobbler. The real secret to how close we want to get to a gobbler on the roost is determined by whether the gobbler has flown up with a group of hens, or whether he’s flown up to roost by himself. 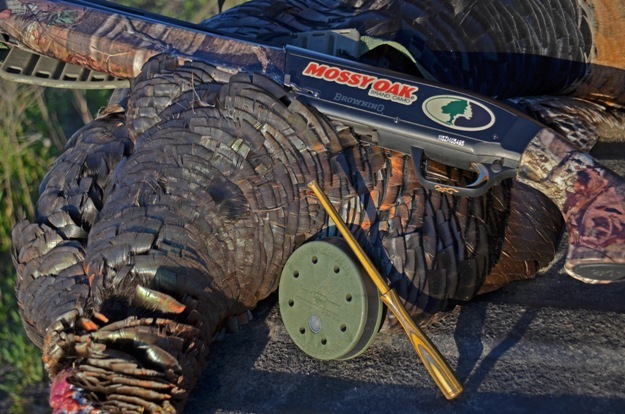 If the gobbler is by himself, we’ll try to get within 40-50 yards. If the gobbler is with hens, we’ll stay 50-60 yards away from him, so we don’t spook the hens the next morning. Once we know where the turkey is roosted, we go into the woods long before daylight, set up our camera and our blinds and get everything ready to video long before daylight. Then when we call, if the turkey is really excited and ready to fly down to a hen, we’ll be able to harvest that bird as soon as there’s enough light to video. The way he gobbles from the roost tells us how anxious he is to mate. We also learn where the hens are located, because they’ll usually answer too. If we sound like the closest hen, we usually can get the job done, while the sun is coming up. 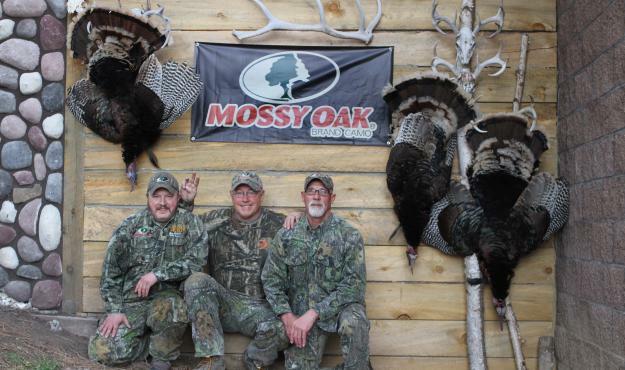 The first turkey I ever took was with Toxey Haas, the founder of Mossy Oak. Toxey came to hunt with us in Bloomsdale, Missouri, where our mom and dad live, and where Mark and I grew up. Finally, my turn came to pack the gun, and Mark’s turn came to run the camera. Toxey and I went hunting, and Toxey called in that first turkey for me. How close to town is too close? 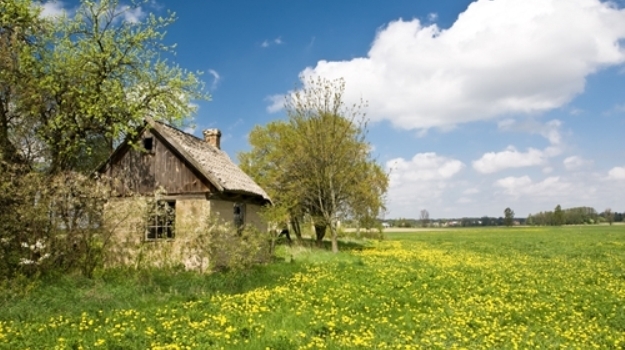 Among the many factors you'll need to consider when buying land, one that may not be given the time and attention it deserves, is how close the real estate will be to town. At first this may seem like more of a matter of personal preference, but the truth is it can be a hugely influential component of your purchase. When the Rio Grande gobblers pitch out of a tree, generally they’ll all go in different directions. Seeing 10 to 20 gobblers in one tree with some of them strutting before daylight is a sight that most eastern turkey hunters rarely, if ever, will see.